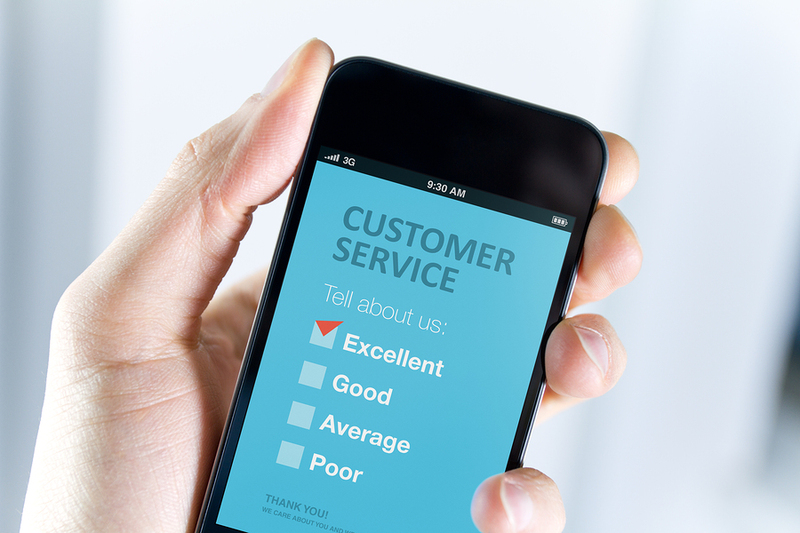 Published February 13, 2015 at 900 × 600 in Is Your Contact Centre Meeting Customer Expectation? Men’s hand holding modern apple iphone with customer service survey form on a screen. Red tick on excellent choice showing customer satisfaction.